The update is incredibly minor, with build numbers shifting only a single character. Going from 18A326g for last week's release, to 18A326h for today's. With the build number only incrementing by one letter, not much is likely to have changed from last week, which itself contained very few changes. In beta 2 of macOS mojave, we saw a few tweaks including updates to Dark Mode in maps and a more flexible Mac App Store. 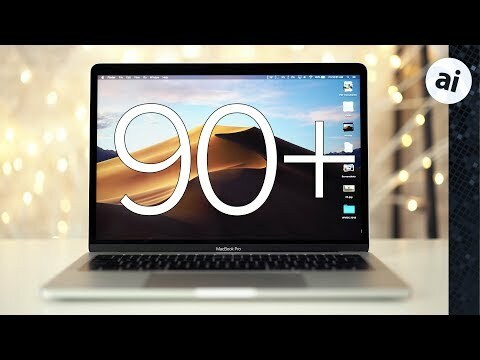 Apple's macOS Mojave is a major update for Apple's desktop operating system, with countless new features being added. The biggest new features include a new system-wide Dark Mode (complete with a dynamically changing background image), redesigned Mac App Store, Desktop Stacks, Finder Quick Actions, and much more. Apple is expected to release macOS Mojave this fall alongside iOS 12, watchOS 5, and tvOS 12. Minor update but still a 2.71 GB download. Ouch. I do have to say that both of this year's betas are much more stable than last year's betas. The temptation to install on more devices is strong, but I'm remaining disciplined. 326h is also the second public beta. One Mac kept having APFS file system snapshot errors. No known operational issues and Disk Utility would say it fixed it but they’d still reoccur. I wonder if that is the reason for this supplemental beta. One Mac kept having APFS file syatem snapshot errors. No known operational issues and Disk Utility would say it fixed it but they’d still reoccur. I wonder if that is the reason for this supplemental beta. It's been reported that the reason for the quick update was due to Feedback Assistant crashing. This makes sense as you can't report bugs in a beta when the app doesn't work. AppleInsider is missing this in their report for some reason.